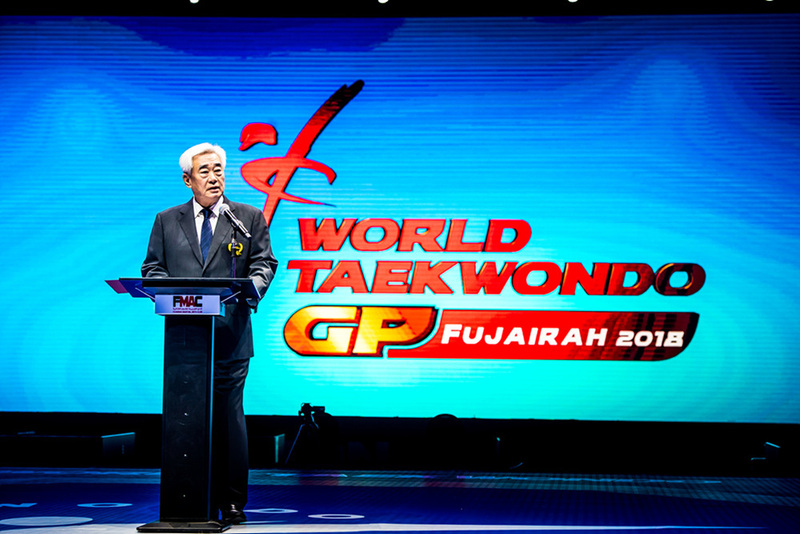 FUJAIRAH, UAE (Nov. 22, 2018) – The preliminaries and quarter-finals and semi-finals of the 2018 World Taekwondo Grand-Prix Final, and the opening ceremony for the event, took place today in the Zayed Sports Complex in Fujairah, UAE. The complex, set against a backdrop of mountains, proved a superb venue for both opening ceremony and sport. Among the VIPs in attendance in the evening was Fujairah Crown Prince Mohammed bin Hamad bin Mohammed Al Sharqi. 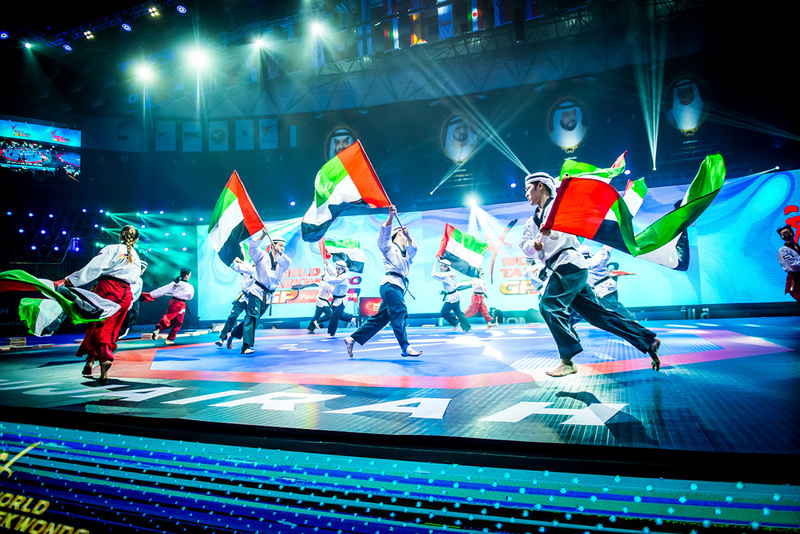 The opening ceremony started with a sound and light show playing over a massive LED screen that showcased both Fujairah, “The city of sea and mountains,” and scenes of taekwondo action. A show by the famed World Taekwondo Demonstration Team followed, with team members wearing local headgear in a nod to Arabic culture. Poomsae, blindfold breaks, and of course, high-altitude aerial breaks were performed, with team members including local swords and dance elements in the performance. The taekwondo performance on the mats was flanked by two groups of locals at the sides of the arena. Wearing traditional white gowns, wielding camel switches, swords and rifles they danced while the taekwondo team spun and flew. In the sportive portion of the day, 127 invited athletes from 39 countries took to the mats in the first day of the two-day event. 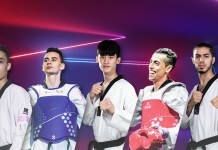 The Grand-Prix Final pits the world’s top 16 athletes in eight Olympic weight categories – four male, four female – against one another. 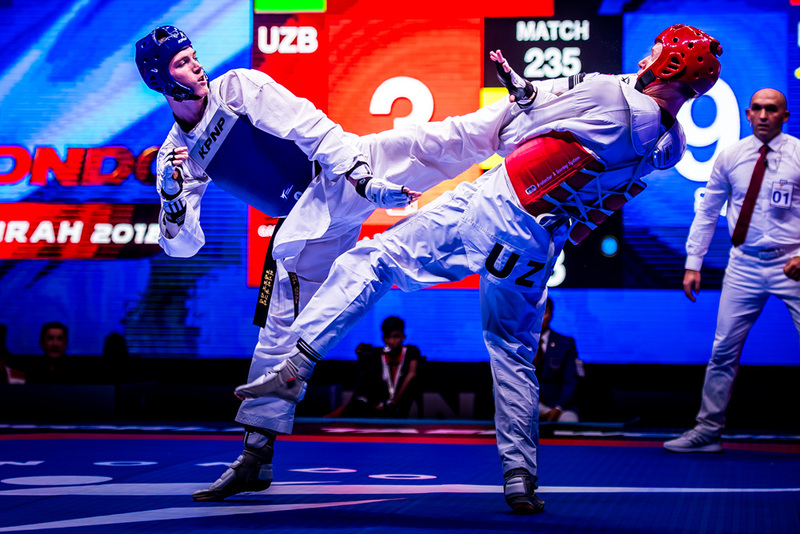 With Tokyo 2020 fast approaching, and with valuable ranking points up for grabs, heated action is anticipated tomorrow, when the bronze medal matches and finals are contested.